Nayan Debnath has been serving International Maritime Academy as an Instructor of English since 01 August 2017 till now. His main responsibility here is to instruct and teach the Pre-Sea Cadets and the Pre-Sea Ratings the lessons according to their standard academic course requirements as well as their level of understanding. Besides he also encourages his students for extra-curricular activities and gives them proper direction for this purpose. Nayan started his career as a Teacher of English in St. Gregory’s High School & College in 2013. Then he joined HEED International School as a Teacher of English and is now working as an Instructor of English at International Maritime Academy (IMA). Nayan earned his degree of ‘Proficiency in Maritime Training and Assessment’ from the Department of Shipping (DOS), Bangladesh in 2017. He also got the authority from NTRCA (Ministry of Education, Bangladesh) to teach as a Lecturer and an Assistant Teacher of English in colleges & schools of Bangladesh. Nayan was certified for proficiency in English having passed IELTS conducted by British Council, Dhaka; and he participated in several workshops on IELTS and the English Communication Skills (4 skills) from there as well. Nayan learnt French from NSU. He was also a student of IML, University of Dhaka, where he studied Spanish. Besides, he also studied (Hons.) playing guitar and violin in Bulbul Academy of Fine Arts (BAFA), where he was awarded 3rd & 2nd prizes for playing guitar in competitions in consecutive two years. From his childhood Nayan loves composing songs and poems; his poem got published during his student life of school in a book named ‘Dhandabaj’ with one of the most notable poets and key figures of Bengali literature, i.e. the late poet Shamsur Rahman. Nayan was involved in Bangladesh ChharaaChharaakaar Parishad and Banglabazar Kabi Parishad when he was just a school boy. He was also an active member of ‘Ajker Kagoj Pathok Bandhu Forum’ that time. Nayan achieved 2nd Place Scholarship under ‘Kaji Momen Smriti Britti’. He also attained the 2nd Place in Debating Competition and the again the 2nd Place in Art Competition during his school life at St. Gregory’s High School. 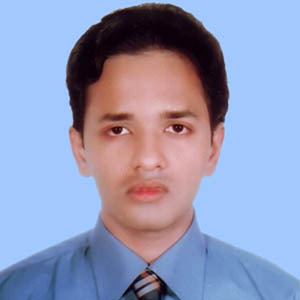 Nayan received his postgraduate degree and became a Master of Arts in English (Major-Linguistics) from North South University (NSU); he was awarded the highest grade for his exclusive research (thesis/dissertation) at NSU on the topic- ‘The Grammatical & Orthographical Differences between Old English and Middle English’. He studied both Linguistics and Literature in his graduation (Bachelor of Arts in English) form Southeast University. Nayan obtained his HSC degree in Business Studies from Dhaka Imperial College and his SSC degree in Science from St. Gregory’s High School. Nayan has formed a habit of collecting, reading and studying exclusive books and dictionaries. He exhibits deep interest in studying Science, Technology, Discovery, Invention, Language, History, Religion, Philosophy, Art, Music, etc. He is a great admirer of Swami Vivekananda, Steve Jobs, Jagadish Chandra Bose, A.P.J. Abdul Kalam, George Harrison, MacGyver (Richard Dean Anderson) and Bear Grylls. Nayan loves playing and practising guitar, violin, flute, mouth organ, musical keyboard and other musical instruments in his leisure. He is single (marital status). Nayan treats others humanely; and loves to lead a very simple, honest and studious life.